For many people, especially in foreigners’ mind, Vietnam is a country that had been under wicked French colonial rule and the American Empire in the past. All of they know is how the wars destroyed Vietnam but they don’t know that Vietnam has a rich culture and history spanning over 4,000 years. This is most evident in folklore and legends, the traditional folk festivals of each region, cuisine and French colonial architecture. It also reflects the dark side of the country which heavily affected by wars for centuries. Nowadays, foreign travelers go to Vietnam not only to discover the landscapes but to relax, explore to understand more about the history of Vietnam. Stretching from South to North of this country, thousands of old temples, pagodas, museums and historical architectures is the bright points in your trip. If you come to Hanoi on the first day, don’t forget to visit Ho Chi Minh complex and Hoa Lo prison. 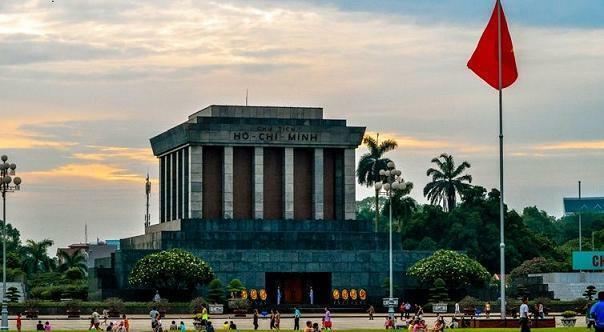 Some tourists used to say that: ” your Vietnam tours would be not completed without visiting Ho Chi Minh complex”. Along to the central region and the South, the complex of Hue Monument, My Son Sanctuary- colors of ethnic cultures in Quang Nam or Reunification Palace in Ho Chi Minh city will be another choice for your historical trip. It can be seen that Indochina Voyages historical tours play a vital role not only in conserving the long cultural values but also in developing the tourism industry. Ho Chi Minh mausoleum located in HCM complex. With the advantage of the natural resources, Vietnam has a great condition to develop agriculture. 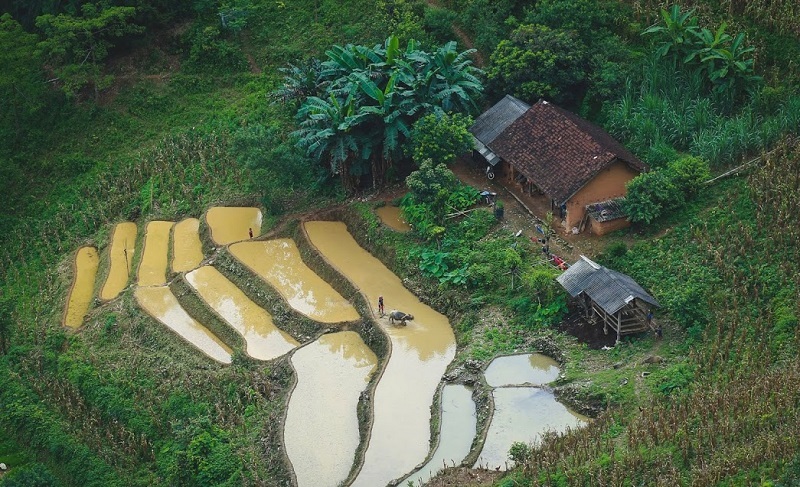 So the image of stunning rice fields has become more simple and poetic in Vietnam literature.The most beautiful terraced fields concentrated in the mountainous region in Vietnam such as Ha Giang, Sapa and are regarded the main source to attract tourists coming here. From the highest peak of mountain ranges which are covered by the endless forest, tourists may enjoy plunging terraced fields sparkling in sunlight and mountains subdued by thick mist rolling across the peaks. In the harvesting season, the terraced fields change from green to gold, looks like “a ladder to the sky” to make a meeting place between heaven and earth. Vast extents of paddy fields spread out as far as the eye can see, almost merging with the sky. Mosaics of color lining side by side each other create a breathtaking scene in front of tourist’s eyes and keep them staying for admiration for a while by this stunning beauty. Today, leisure travel combine with exploring local life has become more potential. Visiting the South region, besides enjoying the nature, tourists can get used to with local lifestyle by staying in homestay and take part in some farming activities. Another advantage of Vietnam is the geographical location with the long coastline stretching over 3,260 km from North to South. Thanks to the mother of nature, Vietnam seems to be a rare paradise. Bluewater, endless white sands and the diversity of ecosystem make beaches in Vietnam become a popular spot for you to get away from the bustling lifestyle, especially in summer. 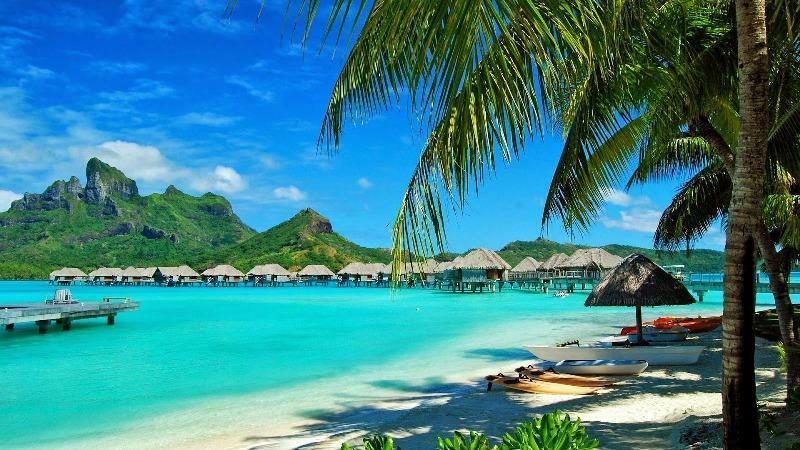 Among the large numbers of beautiful beaches, the Central region in Vietnam gathered a lot and some of them are ranked on top stunning beaches in the world. Most of them are beautiful landscapes of the harmony of the sea and mountain. The gentle sound of waves lapping rocks will take you into a deep sleep while lying on the white sands beach. What is better than spending time under the shining sun, let the wave relieve all the stress of the busy day-to-day life. In Nha Trang, for example, you can do kite-running and windsurfing. In Da Nang, enjoy one of the world-class beach resorts- a romantic getaway for couples and families alike. In Mui Ne, enjoy the quite with some added wildness while planning for your seafood dinner venture. For beach fans, Vietnam should really be on your list. Tourism complexes, entertainment, and relaxations are built in an effort to provide tourists all of the necessary conditions for enjoying 100 percent Vietnam beaches. Besides visiting floating market, visitors can pay a tour to explore fruitful tropical gardens by boat. As a mini getaway to escape the busy life, let’s consider spending your time with mother nature in one of 5 best fruit gardens located in South Vietnam. They are Lai Thieu orchard in Binh Duong province, Cai Mon orchard village in Ben Tre, Cai Be fruit garden, Lam Dong fruit garden and Vinh Long fruit garden. By buying a ticket cost 2 dollars, travelers can immerse into nature, enjoy the fresh taste of various kinds of fruits. Besides, you can buy fresh fruits at a very cheap price on site and take part in process of harvesting fruits. Folk traditional performance is one thing you can not ignore. Whenever you go you will be welcomed by friendly smiles and opened arms of locals. 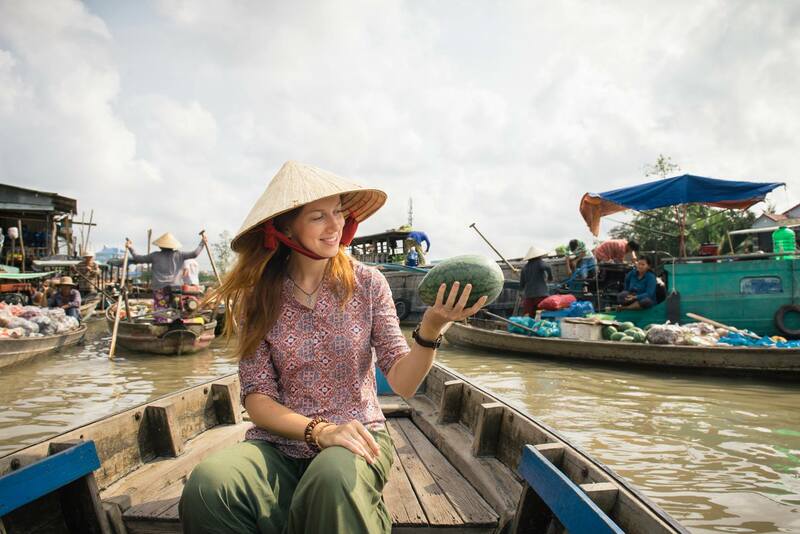 In the effort of making Vietnam look like a real travel paradise for tourists, Indochina Voyage give you 7 days tour in Vietnam to help you have a chance to admire the natural beauty but also understand more about the culture and lifestyle of Vietnamese People. Contact us for more information!